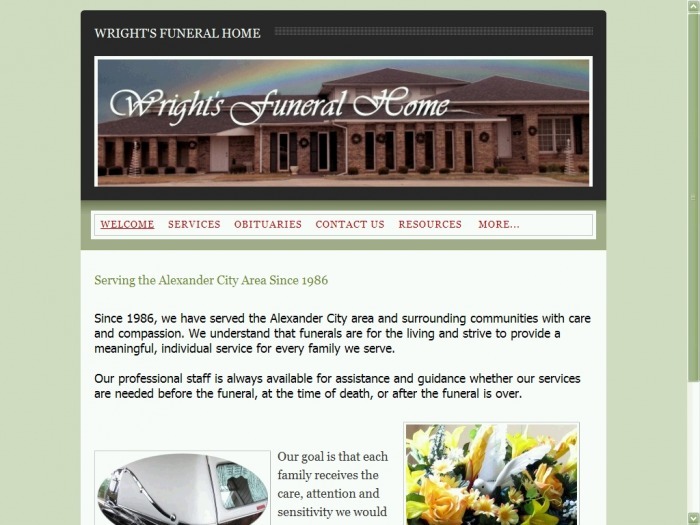 You can click on any photo to enlarge it. 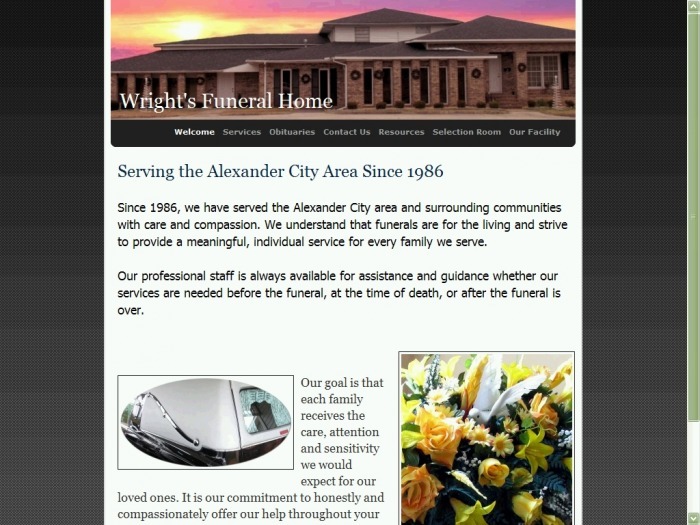 Once you have enlarged it you can use the arrows on the side of the screen to navigate through each photo in the gallery if you like. Only a limited number of possible website screen shots are listed on this page. Notice the location of the links and the style used with each background. You have numerous options when it comes to us personalizing your website. 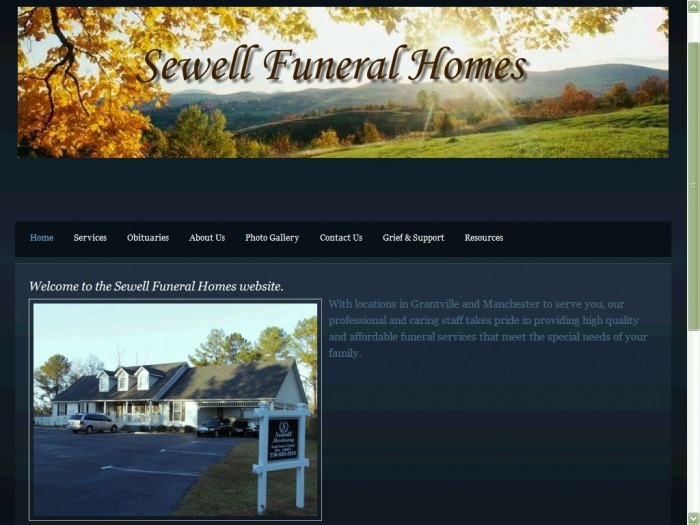 Most any photo can be made as a header for your site, and you have an unlimited number of pages that can be built into your site. 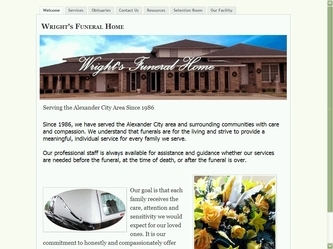 We can add music to individual pages or to the entire site. 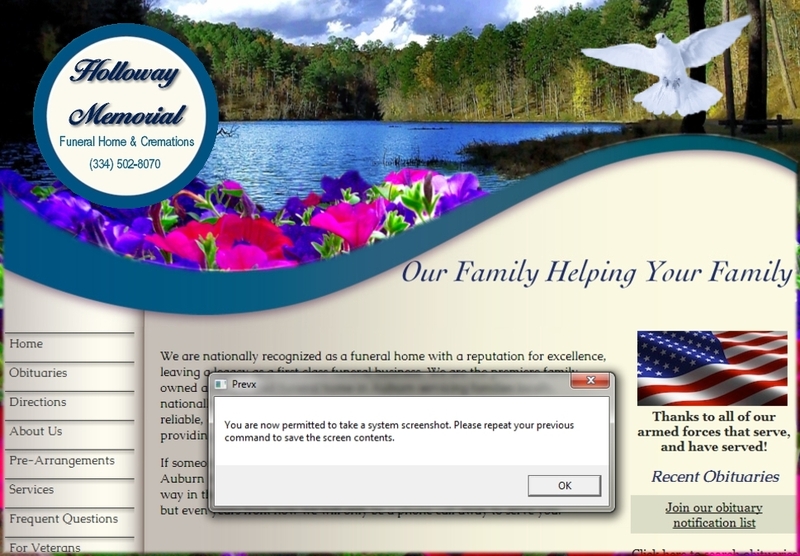 Obituaries are built into what ever page you choose. 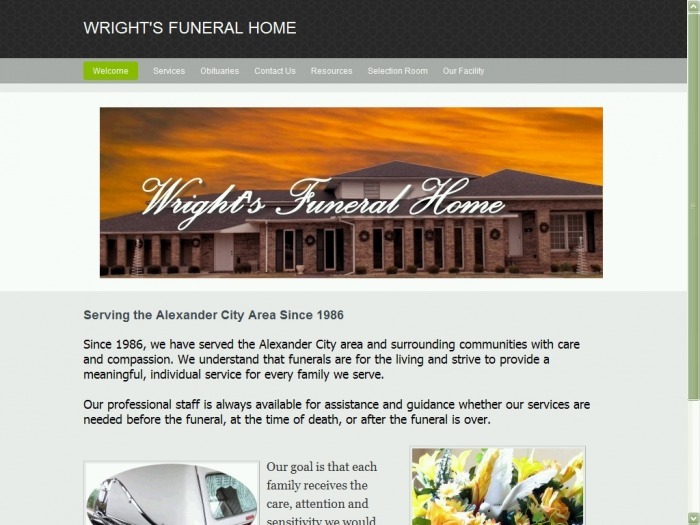 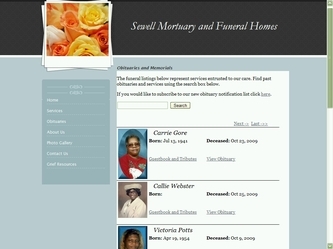 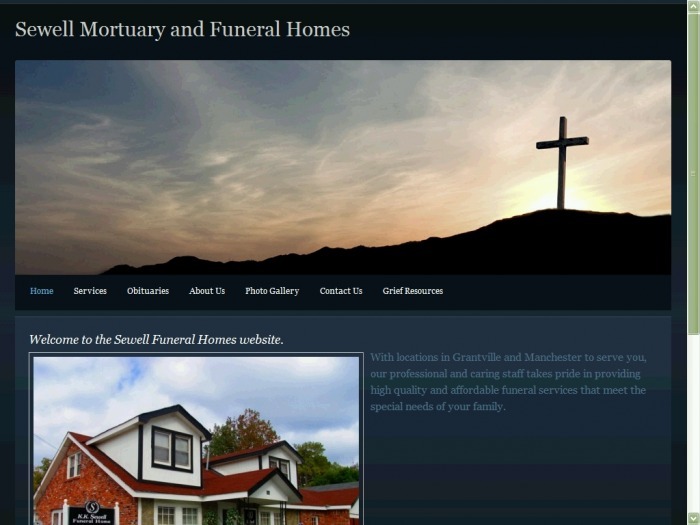 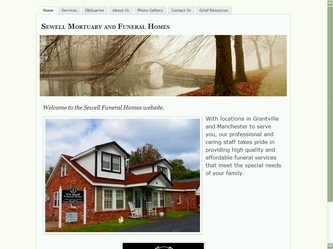 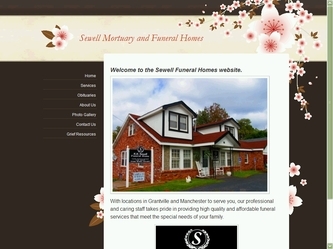 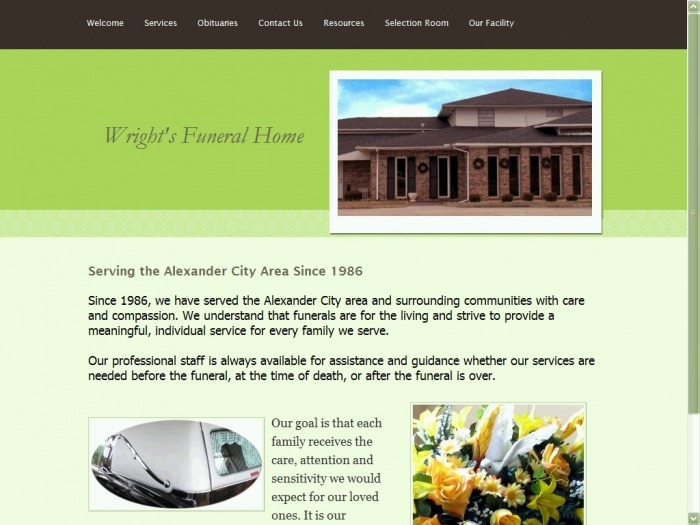 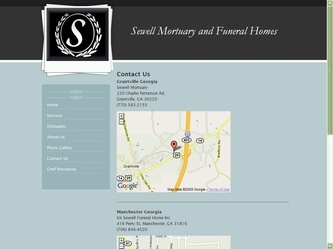 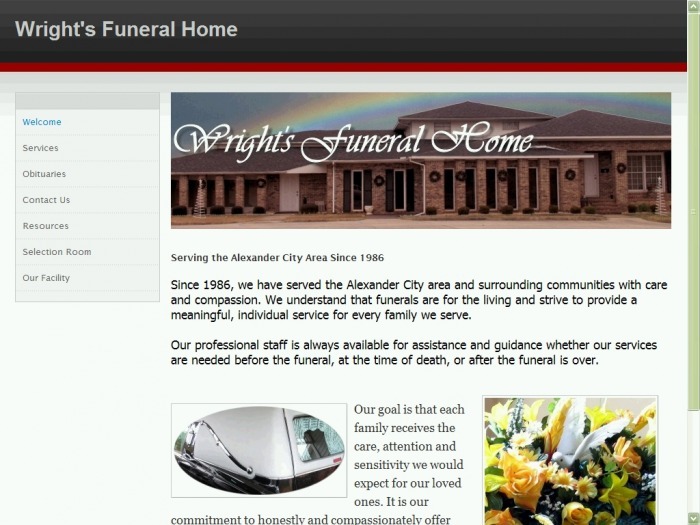 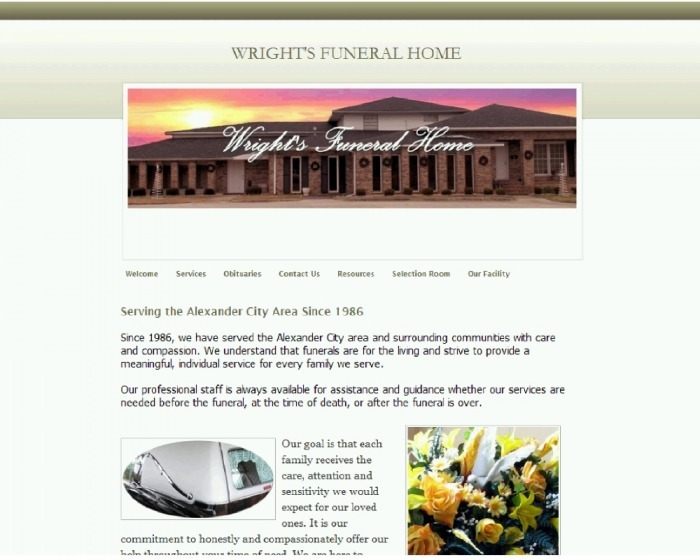 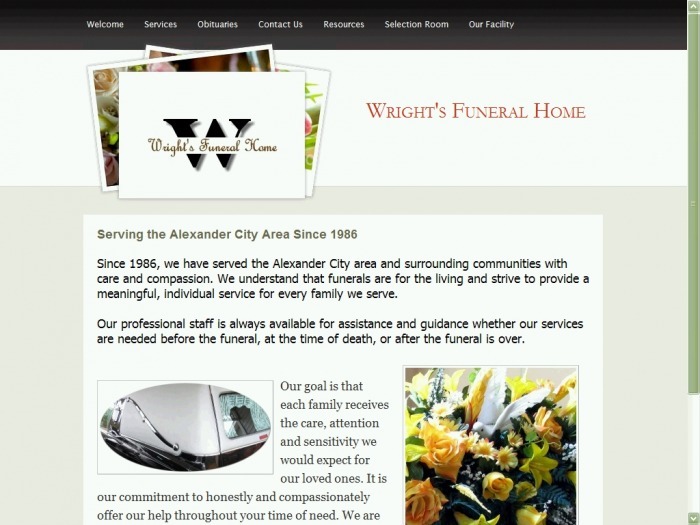 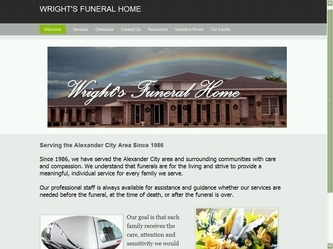 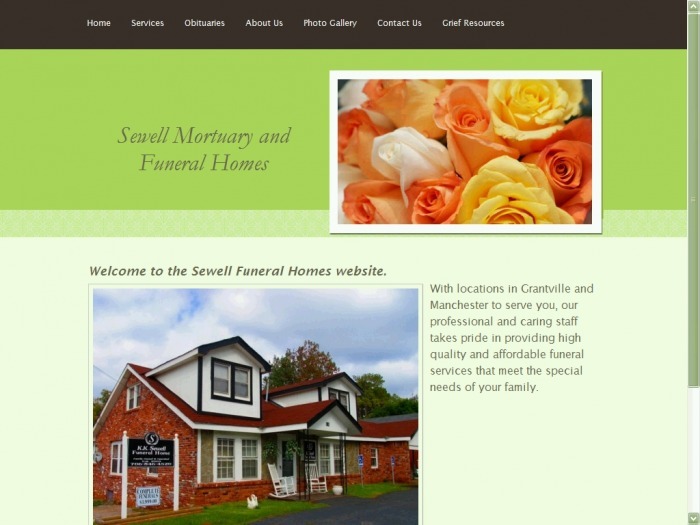 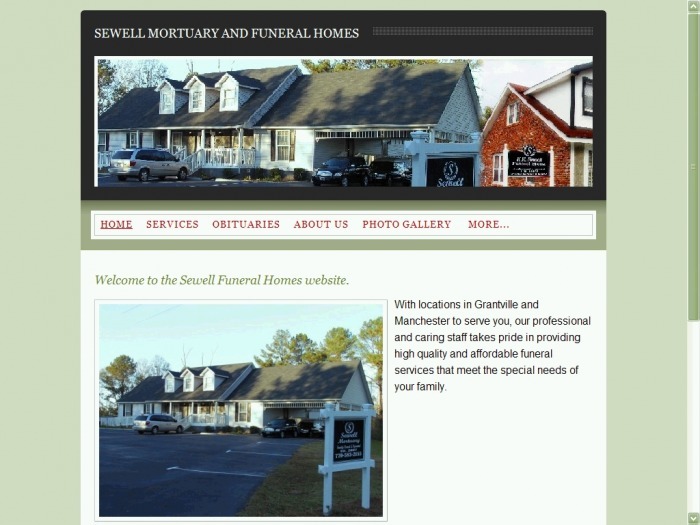 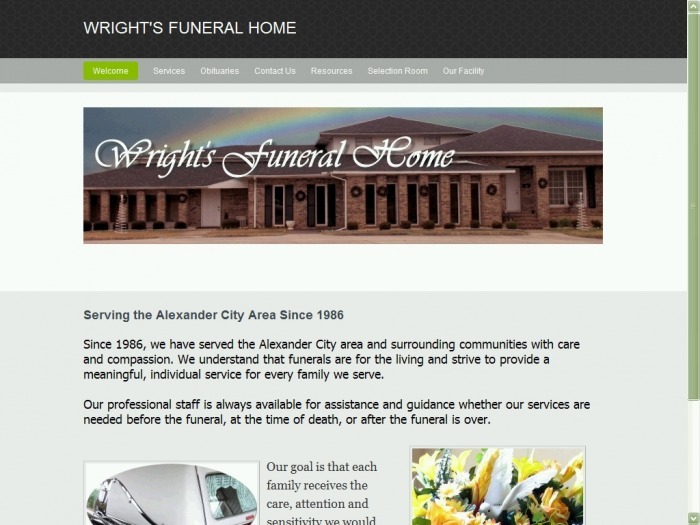 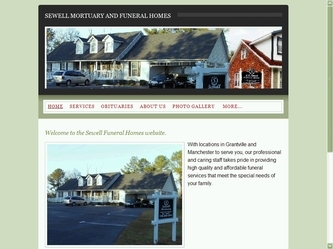 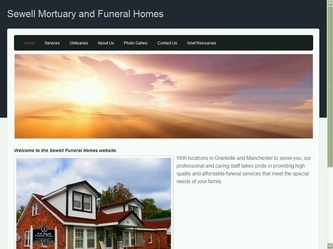 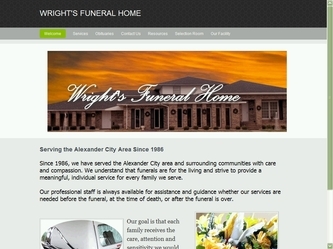 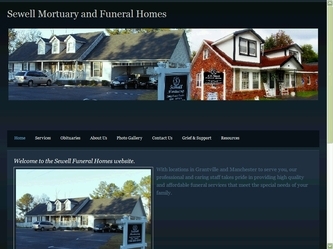 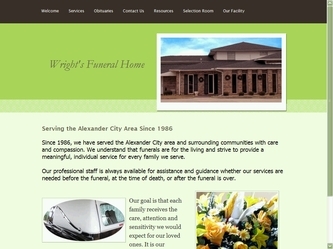 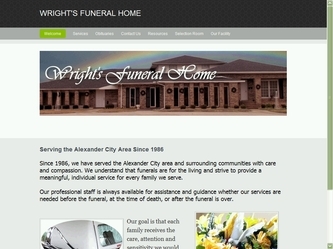 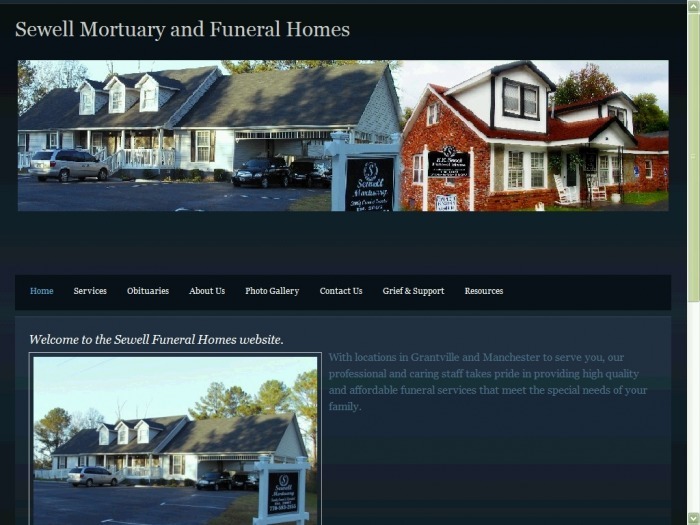 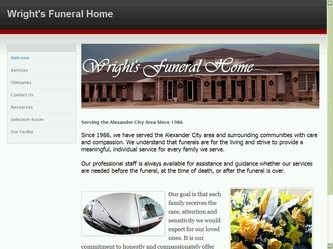 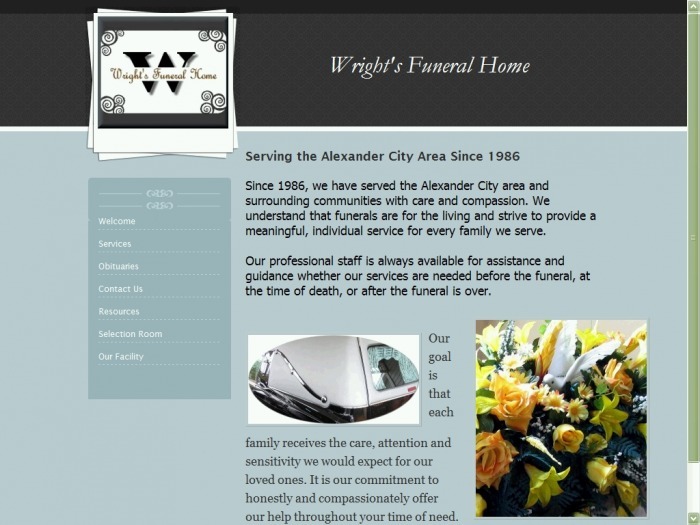 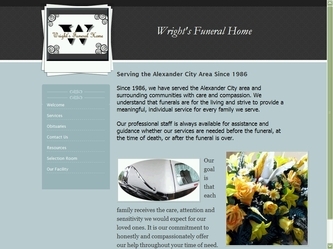 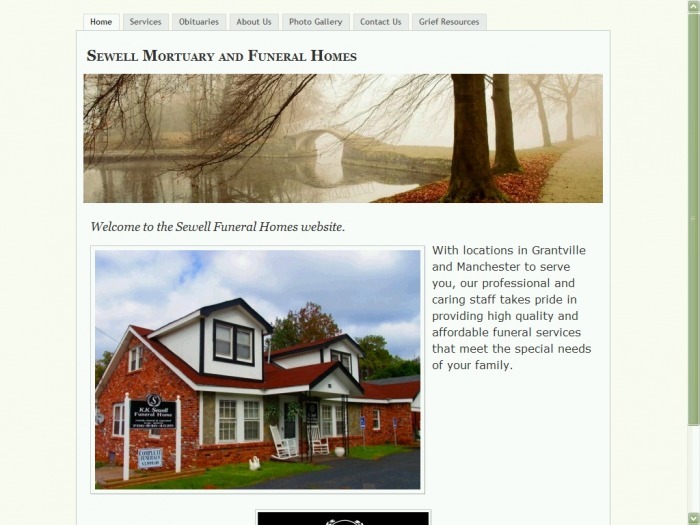 Visit our funeral home website features page. You have the options of Video Headers, Static Image Headers, Slide Show Headers and Unlimited Backgrounds. Be sure to visit our website features page! 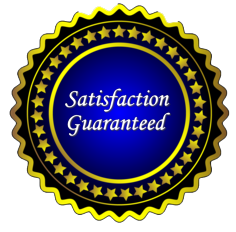 If you don't see what you want be sure to ask!